Drink it in folks 'cause this is it! 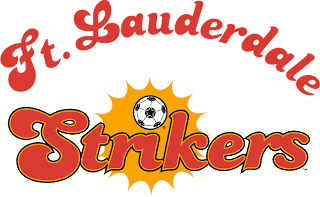 The Fort Lauderdale Strikers unveiled their new logo this weekend and in doing so murdered the past history of the logo. OK, that maybe a little harsh, but it's hard to see the similarities between this new venture and the classic logo from years past. The new logo, designed by a veteran sports branding group, can explain each aspect of the logo, but it might take some time for this Striker Liker to swallow. I like the new logo. It's got all the elements from the old school one but in a modern package and it's a true crest. The old logo was really just a wordmark. 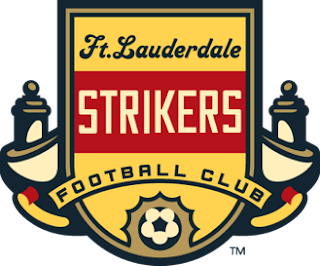 I think it's a great modern take on the old Strikers look, I can picture this new logo being what the old Strikers would have evolved into if they were playing the whole time from 1984 until now. Strikers Jersey is Upon Us! Win Free Striker Season Tickets!